A few years ago, I went to PC for the Montreat Middle School Conference and happened upon this fairy statue and blogged a sentence about it, which led to much weeping and gnashing of teeth from the internets (OK, so not weeping and gnashing of teeth, but people who did not agree with me and had a lot to say about it) forcing me to offer a rebuttal. Well…Mr. Belk is at it again. 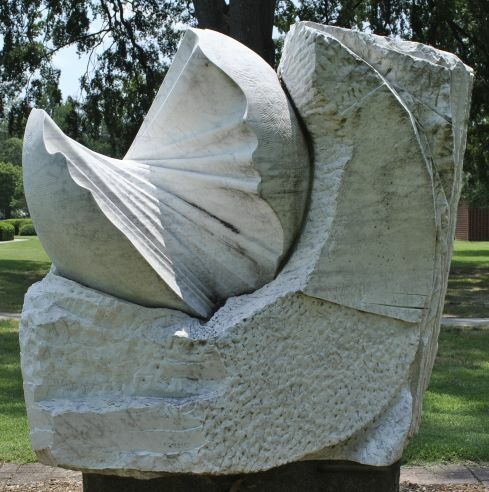 This year at the MMSC, I walked to the cafeteria to see the makings of another gigantic statue between it and one of the dorms (where I lived for two years). I took a picture with my phone and posted it on facebook. 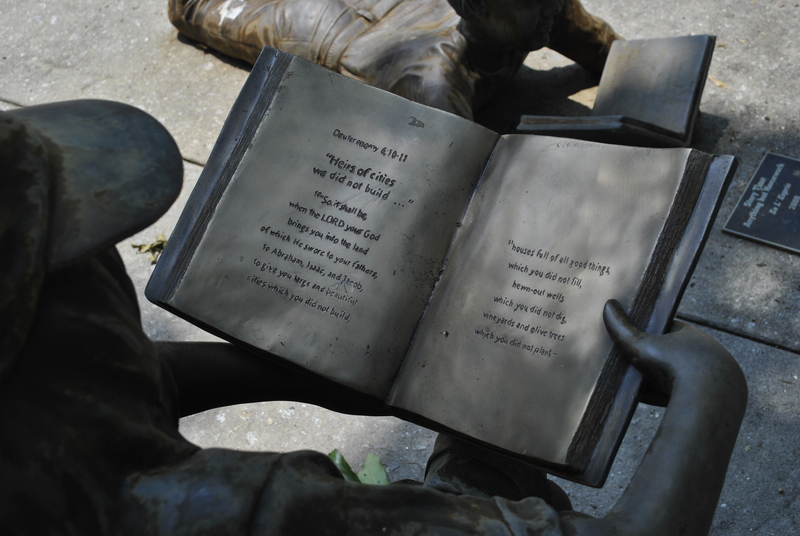 There were lots of comments – none in favor of the statue. 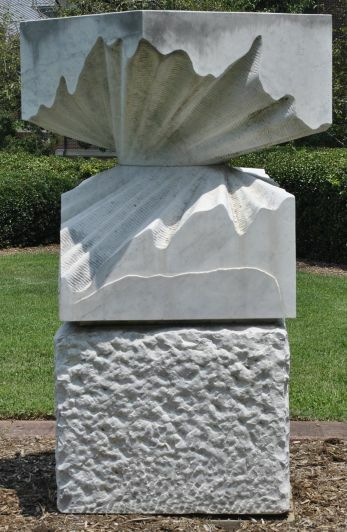 So I went on a statue quest to find out just how many statues there were and how many of them were donated my Mr. Belk. Here are my findings. Odd as they were, a little art is good for you. But in the eight years that I have been gone from PC, they have added 20 statues…for a total of 23 (including the one in construction). 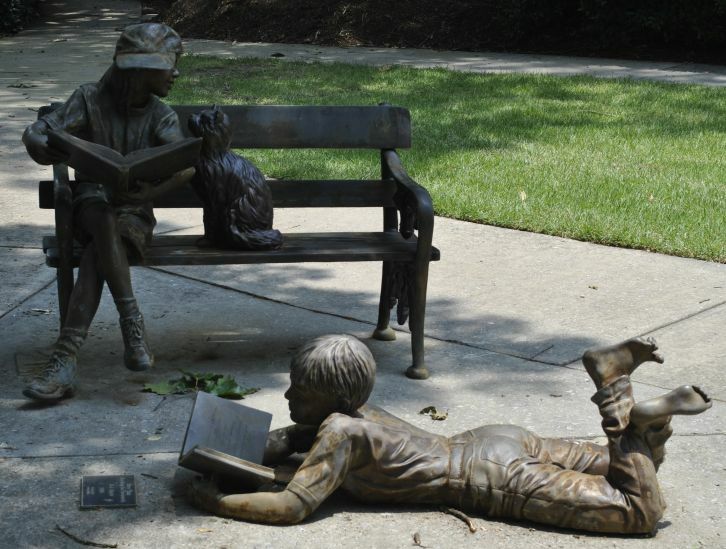 The first one I remember seeing was a child reading on the ground…he now has a friend reading on a bench. I remember thinking this one was somewhat endearing at first. It’s located outside of the library so it makes a little sense. And he was fun to pose with. PC’s founder, William Plummer Jacobs. This man I like – he founded PC and Thornwell Home for Children and married my great grandparents…so perhaps he deserves a statue. 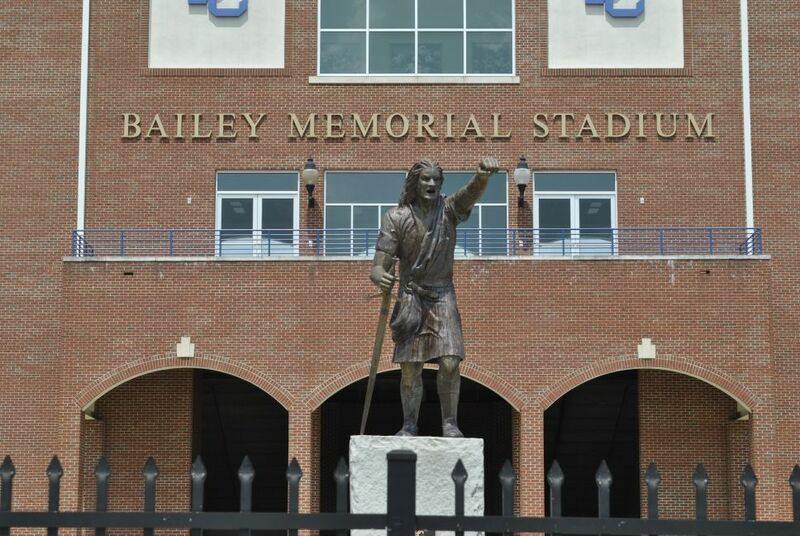 The giant (and by giant, I mean GIANT) “William Wallace” statue to represent PC’s mascot, the Bluehose. 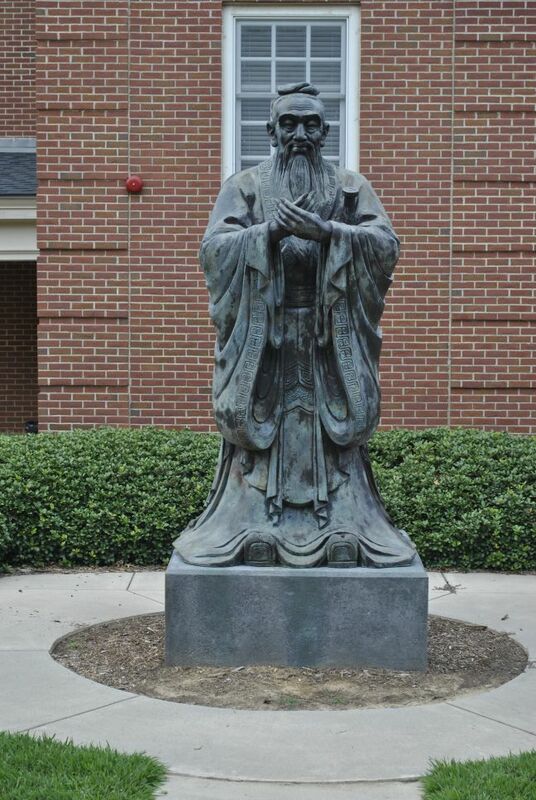 Confucius, who lives outside the Carol International House and the Confucius Institute Office. 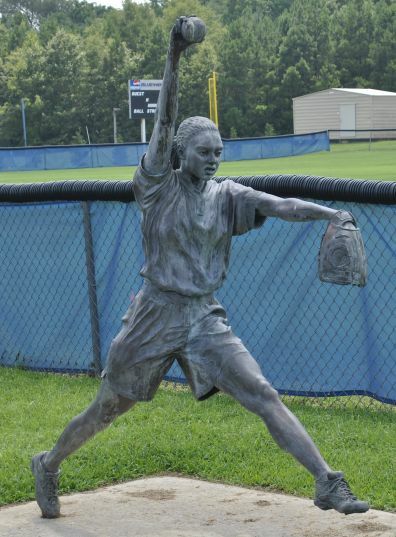 This statue was the only one not gifted by Mr. Belk. 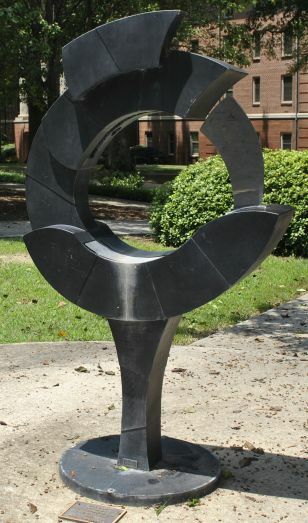 I love watching So You Think You Can Dance, and appreciate dance in general, but PC does not have a dance program, so this statue really makes no sense on the campus. 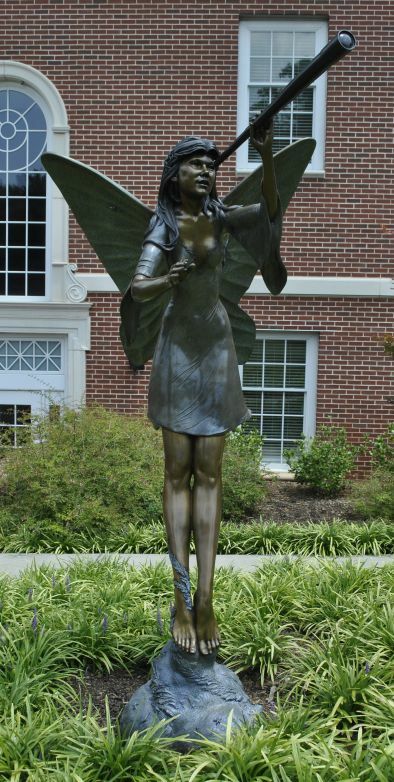 Again, I do have an appreciation for fairies (especially as the mother of a three year-old girl), but as a statue outside of the science building on a college campus, it is ridiculous. There used to be three frogs, but two of them met an unfortunate end…can’t say I’m sad about that…I have no appreciation for human-sized frogs playing instruments and dancing. 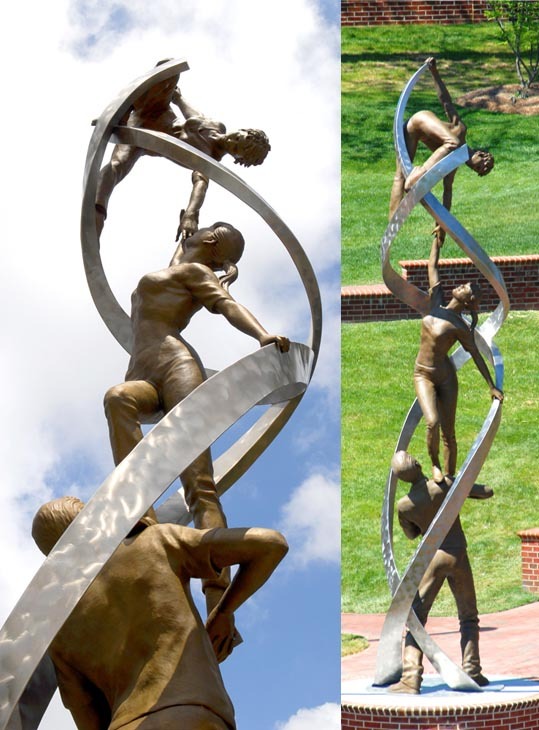 And soon to be in this category, the statue in construction “The Human Link”. 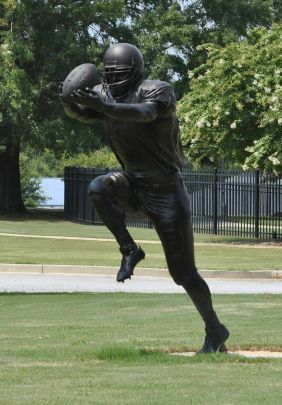 I think PC and Mr. Belk need a statue intervention. I hope that those of you who haven’t been back to PC in a while appreciated your tour of PC’s statues. Didn’t know what you were missing, did you? It seems to be an epidemic among college campuses! 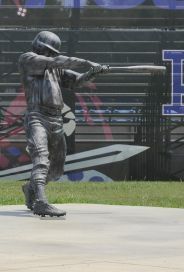 This was in the The Herald today of a new statue at Winthrop. 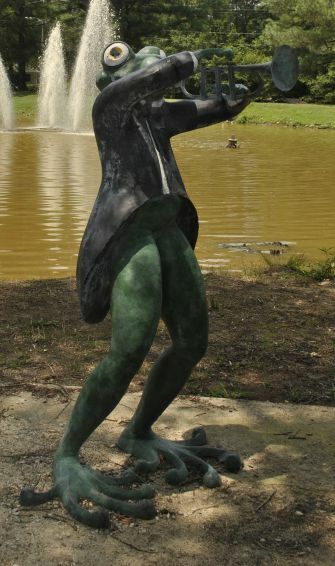 At least the frogs make sense at Winthrop with the Come See Me Festival’s mascot being a frog. 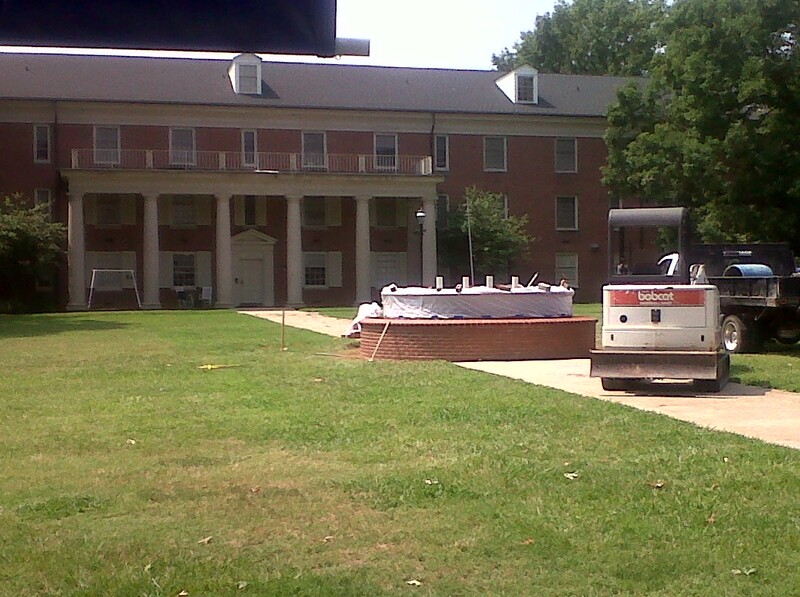 And I guess they made sense at the pond at PC…. 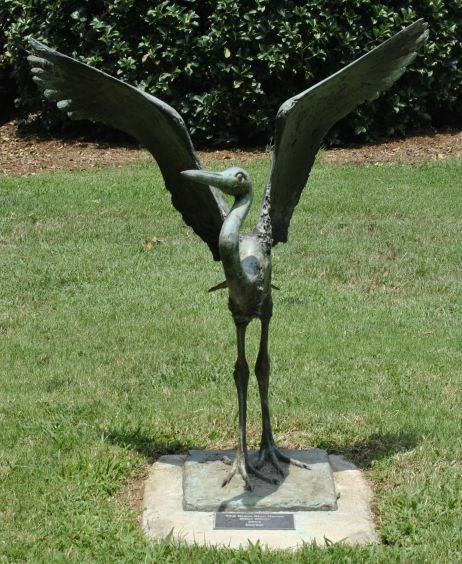 I just noticed that the Winthrop statues were donated by Mr. Belk! Interesting….maybe he is mourning the loss ofthis frogs at PC by adding some to Winthrop. 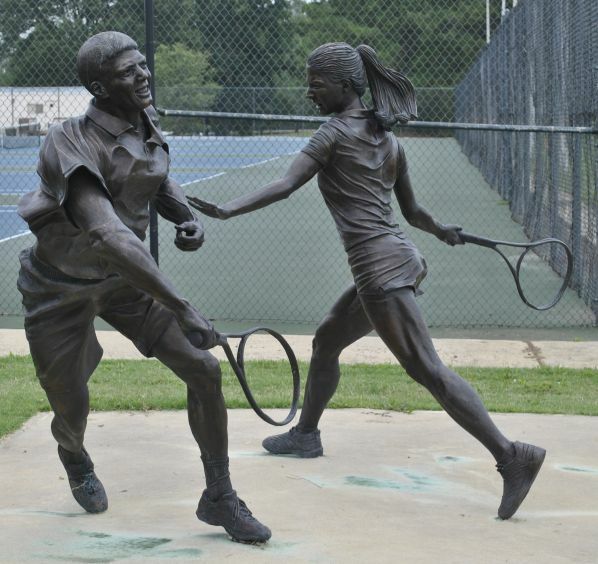 Either way, the Belk’s are spreading their statue lovin’ across the South!